Anthony Pettis defeated Gilbert Melendez to defend his UFC Lightweight title at 1:53 of the second round at UFC 181 via guillotine choke. In the first minute of the second round, Pettis caught Melendez with a right hook, and then when Melendez came into him, Pettis slapped a guillotine choke on and the rest was history. This battle between The Ultimate Fighter season 20 coaches lived up to the billing. Check out the submission after the jump. Travis Brown TKO’s Brennan Schaub at the end of the first round via punches at UFC 181. 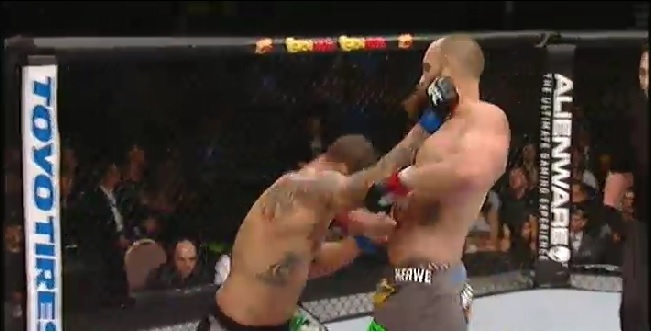 Midway through the first round, Brown tagged Schaub with an uppercut and stunned Schaub. Afterwards, Brown mounted Schaub multiple times and worked him over. Check out the beatdown after the jump. Todd Duffee KO’d Anthony Hamilton just 33 seconds of the first round at UFC 181 with a big time right hand. There wasn’t much to this fight other than that knockout. Check it out after the jump. In the first fight of the PPV portion of UFC 181, Tony Ferguson shook off a potential first round KO to get Abel Trujillo to tap out due to a rear naked choke in the second round. 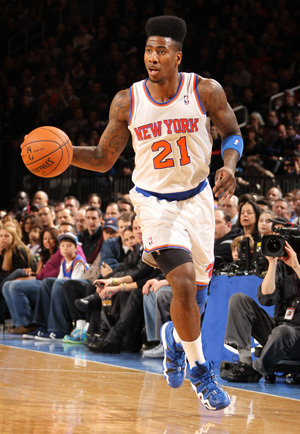 Ferguson took a few big shots in the first round, but was able to weather the storm. In round two, he went on the offensive and controlled Trujillo throughout the round and finally got in position for the choke out. Check it out. Conor McGregor told everyone that he was going to knock out Dustin Poirier in the first round at UFC 178. AND HE DID! McGregor caught Poirier with a questionable punch that landed behind the ear of Poirier, which stunned him, and then ended the fight with a flurry of punches. 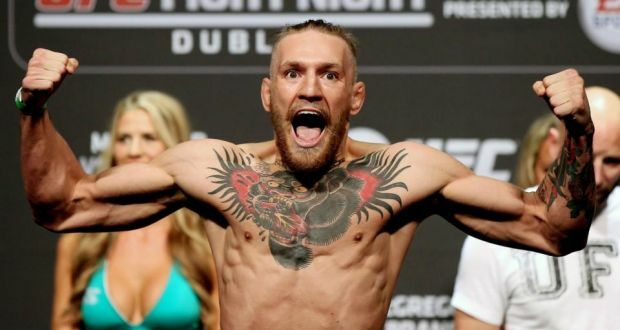 McGregor is one of the most popular fighters in the UFC, you can see why. In his first fight in over three years, the former UFC bantamweight champion looked like he hasn’t lost a step during his absence, at UFC 178. Cruz dominated Mizugaki from the opening bell, and delivered a vicious TKO via punches. A pee wee football team and a sturdy banner do not mix. 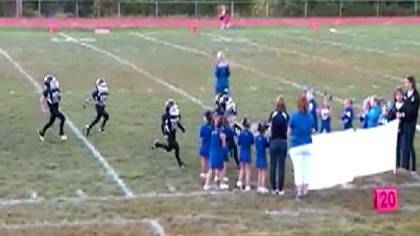 The Wallkill Mighty Mights wanted to make a statement by bursting through a banner before their game. As the pee wee team charged toward the banner, there was an issue. The banner did not break. 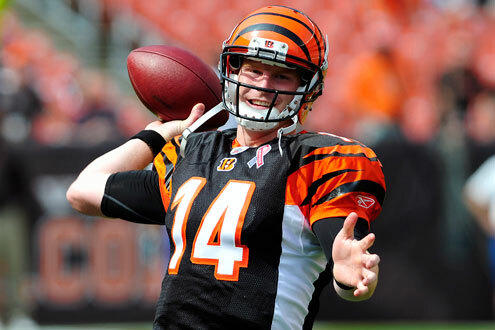 Cincinnati Bengals quarterback Andy Dalton isn’t exactly known for his pass catching skills. But after this awesome grab and TD own a track play, maybe he should throw passes to himself? Check out the play and TD pass from Mohamed Sanu. Week 2 of the NFL season wrapped up last night with a thrilling comeback by the Philadelphia Eagles, as they stunned the Indianapolis Colts 30-27 on a last second field goal. What we have learned about the Philadelphia Eagles through the first two weeks is that a fourteen point deficit means nothing to them. According to the Elias Sports Bureau, the Eagles are the first team in NFL history to start 2-0 after trailing by 14 or more points in the second half of each game. 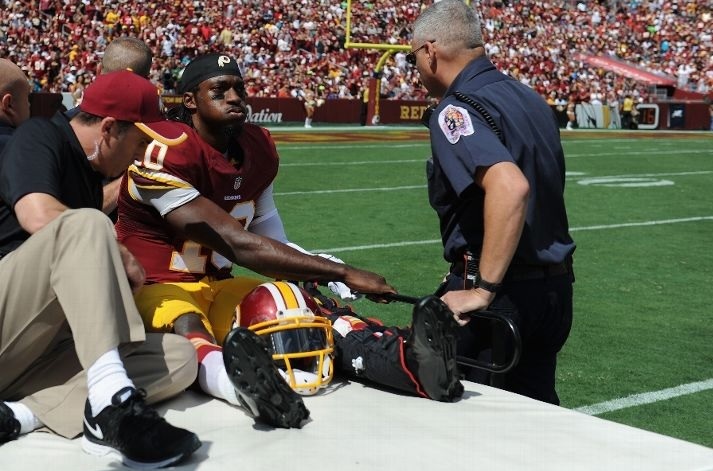 But what have we learned about the rest of the NFL?